After citing the article about connection genius yesterday I’ve gone connections crazy today for International Women’s Day! I watched a couple of films this week I related to, with regard for my attempt to create my art, and retain credit for it; whether positive or negative. Tim Burton’s Big Eyes told the real story of Margaret Keane, who let her husband Walter take credit for her distinctive ‘big eyes’ paintings, as ‘female art’ didn’t sell. Angelina Jolie’s Unbroken was about Olympic athlete and World War Two airman Louis “Louie” Zamperini, who suffered sadistic treatment as a prisoner of war. Some more of the plots are discussed below, so spoiler alert if you want to watch them without knowing the stories, but they are quite obvious storylines, and not surprising twists you’ll really regret finding out before. That’s why I consider myself a self-proclaimed genius, and worthy of spending my time doing this as Lionel Messi is playing football, Noddy Holder is living off his Merry Christmas royalties (and other brilliant music! Sorry Noddy!!) or Gordon Ramsey is cooking fancy food! I’ve been writing this for thirteen years now, and was blogging similar stuff for a few years before that while at university, so I should have proved myself by now, but some people just don’t want to accept somebody like me can be a writer/artist, as they didn’t want to accept women could be artists in Margaret Keane’s time. Some of those have been women. The way that Big Eyes merged into Unbroken for me is that one of the ways those around me have tried to keep me down sadistically is by trying to claim they helped me when they didn’t, thus dissipating my efforts and achievements: as I wrote in my Gossip ist Schwein Folding Mirror poem, most have been more of a negative hindrance than a positive benefit. Telling me I should share my work is like telling a non-white person they should share credit for their work with whites; or telling women they should share their work with men, like Margaret Keane. While the main reason I hold on to my writing is for myself, I also do it for my ‘demographic’, having started my creative writing career at the height of the ‘chav’ era, and with it apparently now doing the worst in school. 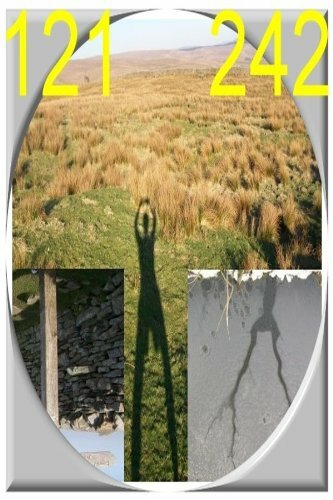 While my writing started off rebelling against the traditional ‘upper classes’ and ‘elites’ I’ve since seen the ‘working-class’ and ‘ethnic minority’ local elites can be as bad or worse, which has helped me become more ‘enlightened’ to the traditional ‘upper classes’. And learning more about history, and how they got to own their land, sometimes through valiant service in the military. And thinking they conserve it well most of the time… although sometimes blood sports are a negative, for the hunted animals and others killed to create more prey! However, I still think that while other ‘minorities’ have had more protection and promotion, my ‘demographic’ seems neglected, and so I should try to give them a voice, even though most don’t seem to want one. If I was more successful, or had chosen the academic route, I’d probably blend into the ‘pale, male and stale’ British middle-aged middle-class bracket everybody seems to be rebelling against. So that’s why I’ve continued writing as the ‘chav philosopher’, knowing that’s the least likely demographic to buy books, and one of the most likely to reject it, but that’s what I have been the last thirteen years; and I’m still Big Eyes Unbroken! To end on an international women’s day note it was great to see Stacey Dooley on the news this morning talking about her new book, and looking back to meeting the brave Yazidi women. Yesterday morning on the news I was impressed by the story of the late actress and inventor Hedy Lamarr, who designed faster streamlined planes by connecting the shapes of the fastest birds and fish. 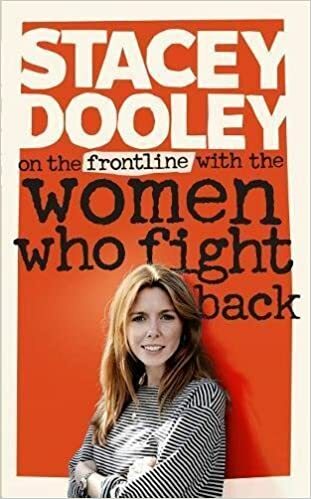 Instead of my books at the end today I thought I’d put Stacey Dooley’s in for International Women’s Day, although I have nothing to do with it. I know people will think I’m doing it for my own benefit, and I know it would be good PR if believed to be for the right reason, but I’m greenYgrey enough to write how I know it can also be interpreted negatively. I do it anyway, and wouldn’t do it if I didn’t really want to, and wasn’t impressed by her career. There was no accusation of Bjork being inspired by the book, but it would be a compliment if she was… or has even heard of it. More recent research has shown that Bjork also had a greenYgrey phase too, as seen in the videos for NotGet and Solstice. The Kenco cofficionado does have more questions to answer, especially as he appeared a few months after I contacted them about my coffilosophy/er… and is a bit of a Russell Brand. It’s okay for the upper classes with their ‘special skills’ to go round looking at people and reading their minds while staring at them! If that was me I’d be called a weirdo witch! Anyway, the passing of the age from coffilosophy to philosophT; in name if not drink! I do try and drink tea in the afternoon, rather than another coffee, but do still have my two mugs of strong coffee in the morning; at the moment I have one Kenco and one Morrison’s Gold; has already borne tea gold. I returned to this Yorkshire Tea advert I’d thought at the time was very greenYgreyish. Returning to it now and seeing it was called Brewtopia I thought it may be a parody of Bjork’s Utopia, but then when I looked at the date it was the summer of 2015, so preceded Bjork’s album by some time, as she only started writing it at the end of that year. It was in the heart of the greenYgrey years, but its POP twilight colours in the sky at the end did precede the greenYgrey POP age being published in XaW Files, although I might have blogged about it beforehand. I doubt if they were influenced by me, and we were both inspired by that scenery.